Keysha Bass is a leader to watch and a compassionate coach and mentor. 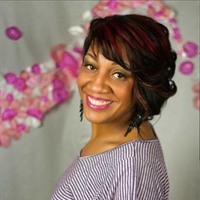 Currently residing in Renton, WA with her husband and 2 sons, she is passionate about influencing the success of others, showing others how the smallest shift in mindset, and gaining a skillset is the formula to living an amazing life right now, its possible! This upcoming author is working on first book Women: Live Your Best Life Now debuting in Fall 2014.